Peace, tranquility and racing bikes. The last drum beat died out some time after two this morning, at about the same time the storm terminally dampened the rest of the celebrations, and our blanket of tranquility descended once again, just long enough to allow us to catch a few hours sleep before the weekend hit with a vengeance. It does come as a shock after a few weeks of rural virtual solitude to be in the middle of a city, and particularly a city which seems to understand exactly what weekends are for. It began quietly enough, in drizzle, with hangover sounds and someone mopping up the spent sky rockets from the wet pavement. Anyone not required to work remained in bed until the sound checks began for tonight’s concert at exactly ten past get up time, or was it ten to coffee time, but in any case it not indecent, yet still a time when most not yet mobile. By the time we returned some time later from our sightseeing visit to the subterranean world beneath the citadel and it’s stories of wars, the full rehearsal was in swing at the other end of the port. Of the several words that could be used to describe the cacophony, perhaps “loud” is the most succinct. Even more ominously perhaps, for those dreaming of a quiet night of conversation, dozens of the dozens-plus-three boats in the port were being decorated in the orange colour of their national football team. The concert less than a hundred metres away not withstanding, this was not going to be a quiet night. That was before we began to wonder why the traffic had stopped on the roads surrounding us. Traffic and racing cycles don’t get along apparently, not for three hours at any rate. 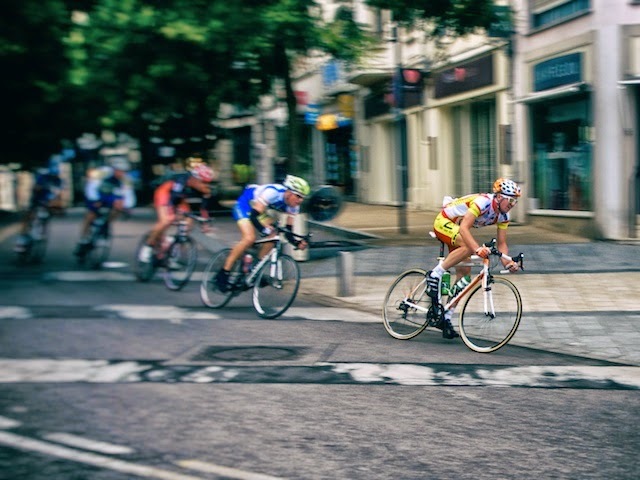 Coincidentally on the first day of the Tour de France, a local event was being held on a circuit through the city streets and around the port. The madmen dashed around the cobbles on a five kilometre circuit lap after lap, while the bands played and people on boats just grinned deafly at one another, either pretending to enjoy the concert or with their hearing aids turned off. By eleven it had stopped, but in its place the match had begun. Lying silently in one’s bunk at one am, in a port that is a thinly disguised echo chamber, it’s jaggy coastline defined by bars and restaurants each with a television set and half of the population of Holland within, variously holding its breath and releasing it in unison while a World Cup penalty shootout is underway, is an experience approaching unforgettable. As each penalty was taken, the gasps alternatively of delight or frustration sliced through the deadly silence that preceded them while the shot was being prepared. Then it was all over, a few cheers, a few horns tooted, the sounds of happy crowds vacating bars and extraordinarily within minutes the day was over, just as silently as it had begun.